Ministries around the country are finding the value in live video streaming, as it allows them to reach and engage their communities in ways that they were unable to before. Since you’ve found your way to this article, chances are high that you’ve decided that streaming could enhance your own ministry! 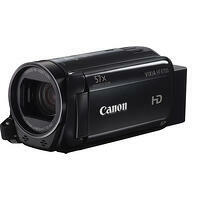 Choosing video equipment can be an overwhelming task. We’ve put together a list of our favorite equipment to make your decision as simple as possible. 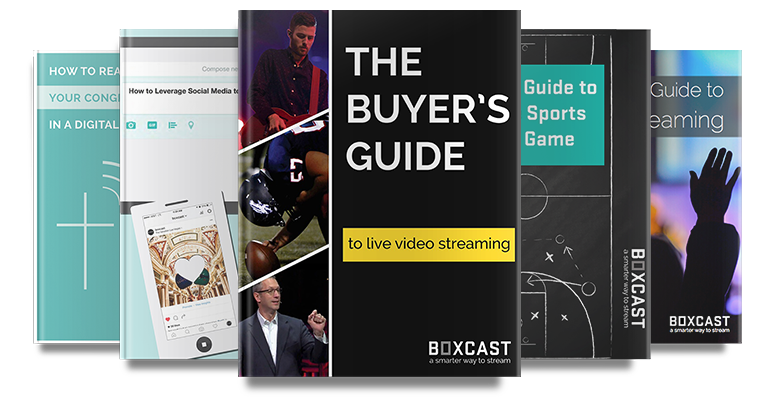 Though BoxCast works well with all kinds of cameras and production equipment, these are our top choices for whether you’re new to the world of streaming, a professional videographer, or fall somewhere in between. If you're looking for advice on just video cameras, here's our post on the best video cameras for live streaming. If you want multiple camera angles for your live stream and don't know how to make that happen, you should check out our intro to video switchers. If you are looking for a good approach to buying new A/V equipment, here's how to buy live streaming equipment. Otherwise, read on. If you’ve decided to dive into video production for the first time, these devices could be just what you’re looking for. When churches are first starting to stream, many will mount a single camera in the back of the sanctuary to capture their Sunday sermons. The technology in these gadgets is great for single-camera set-ups and will ensure that you put your best foot forward, even if you don’t feel like you totally know what you’re doing yet. Why we like it: The Canon Vixia HF R800 is a great starter camera if you're brand new to live video streaming, and using a video camera. It allows you to shoot 1920 x 1080/60p video in a light, compact body that can fit in your pocket. Why we like it: There’s a common concern that to look good on a live video stream, you have to update your entire lighting system. This HD camera looks great in natural low light conditions, and shuts down that idea. 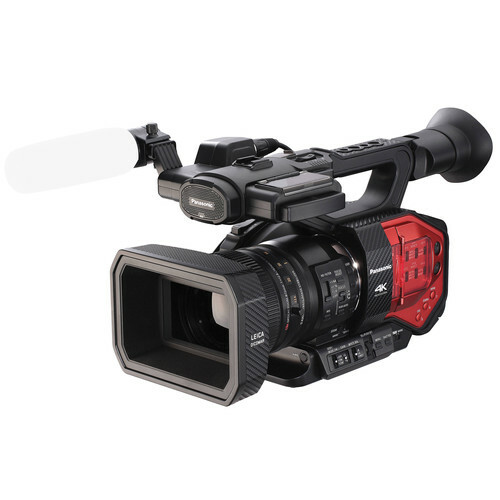 The HF G20 makes for a great starter camera for those looking to shoot more professional video, as it comes with manual settings similar those on a professional camera, but easily adjusted on a user-friendly 3.5 inch touchscreen. Why we like it: This durable tripod is great for any level and will last a long time. Its fluid drag head lets you tilt and pan so that there’s no jerkiness to your image. It also has both rubber and spiked feet, making it great for indoor and outdoor use. You have a developed understanding of video equipment and are no longer seeking the most basic production tools. Still, you’re not ready to dive into the most sophisticated technologies. It can be tough to navigate this middle ground, so we’ve done your research for you! These cameras, tripods and microphones are a little more sophisticated than the ones for beginners. 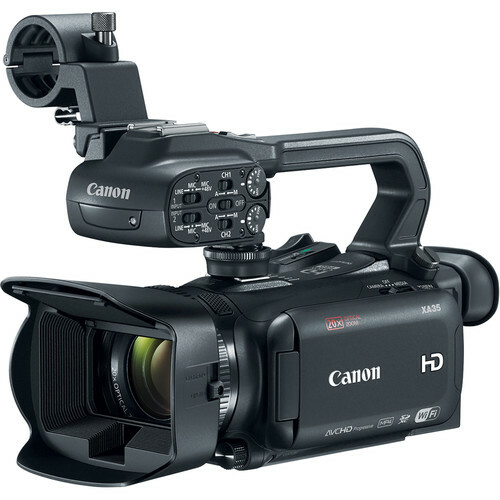 Why we like it: The Canon XA35 is a compact camcorder that comes fully loaded with the professional features of cameras you'll typically find in the $5,000 price range. A 20x optical zoom lens allows you to shoot subjects at long distances. Its HD-SDI/SD-SDI Output and HDMI Outputs make it compatible with other equipment, and the 2X XLR Audio Inputs guarantee high quality audio. 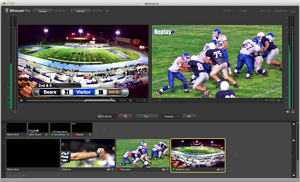 Why we like it: Wirecast is one of the most user-friendly software switchers in the game. You can easily switch back and forth between various camera angles and incorporate overlays onto your stream. Though you do have to pay for it, you can test it out with a free trial. (NOTE: Software switchers do require the purchase of a video capture card in order to allow your computer to receive individual video signals). Why we like it: Roland's highly popular prosumer switcher is an excellent choice for multi-cam live streaming for small churches, smaller corporate meetings, and youth sports. With 4 HDMI inputs, a built in audio mixer, and picture-in-picture capability, this devices offers professional features for producing a live event at a fraction of the cost. You’re a sophisticated broadcaster and are looking for tools that will truly enhance your production. We’re sure that these devices will help you do just that. Why we like it: If you have experience in video production and are looking to make the jump to 4k video, this camera is a great option for you. Its HDMI connector provides 4K output and you'll also be able to achieve beautiful shots with its Integrated Leica Zoom lens. Why we like it: The Benro S7 is a complete tripod system studio for outdoor scenarios and is capable of handling camera rigs that weigh up to 15.4 pounds. The pan and tilt this tripod offers are smoother and more adjustable than what you'll find in the Magnus VT-4000. Why we like it: Similar to the Roland V-1 HD, this portable switcher comes packed with 4 professional SDI inputs and outputs, along with 4 HDMI inputs, and a built-in audio mixer. 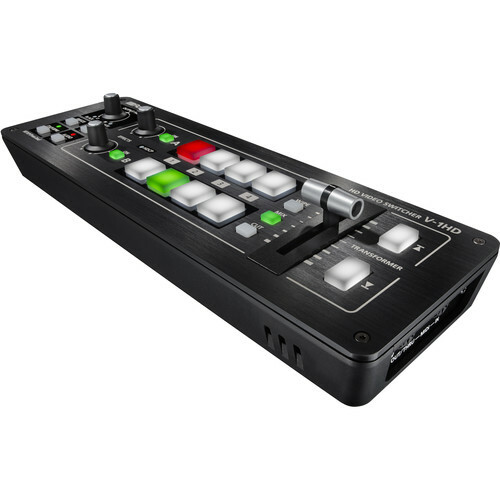 This is a great switcher for the professional video producer looking for a more compact solution. Why we like it: The ATEM 1 M/E is an upgrade to the Television Studio above. It's rack mountable, allows for 4K video inputs, and offers up to 11 video inputs (10 SDI and 1 HDMI). It’s an affordable solution but sacrifices no quality and is comparable to production equipment that you may find in studios.